Led by: Carrie Parker, AIA LEED AP BD+C & Mary-Margaret Stacy, AIA LEED Green Assoc. When the profession is more inclusive, our clients and communities benefit. A talented group of speakers shared their experiences in working toward a more balanced gender, socio-economic, and culturally diverse profession. Kathryn Prigmore encouraged scholars to push for more diversity in practice and in leadership roles. Prigmore shared the story of the Reeves Municipal Center designed after the area sat vacant for two decades following the riots of 1968. The design process of the Reeves Municipal Center engaged the community and still hosts vibrant community activity today. “Communities are revitalized when you embrace diversity,” says Prigmore. 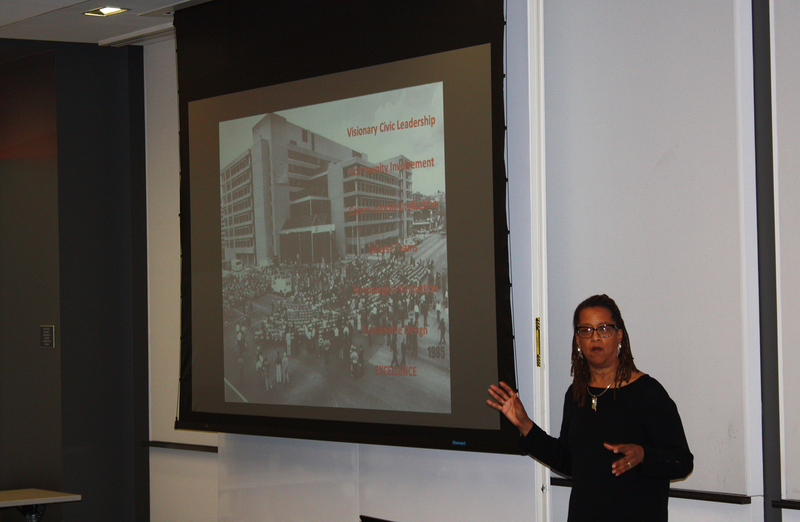 She highlighted opportunities through the Women in Architecture series, and the AIA Women’s Leadership Summit. Randy Steiner shared her experience defying coworker expectations working as a female architect in a time when that was rather uncommon. 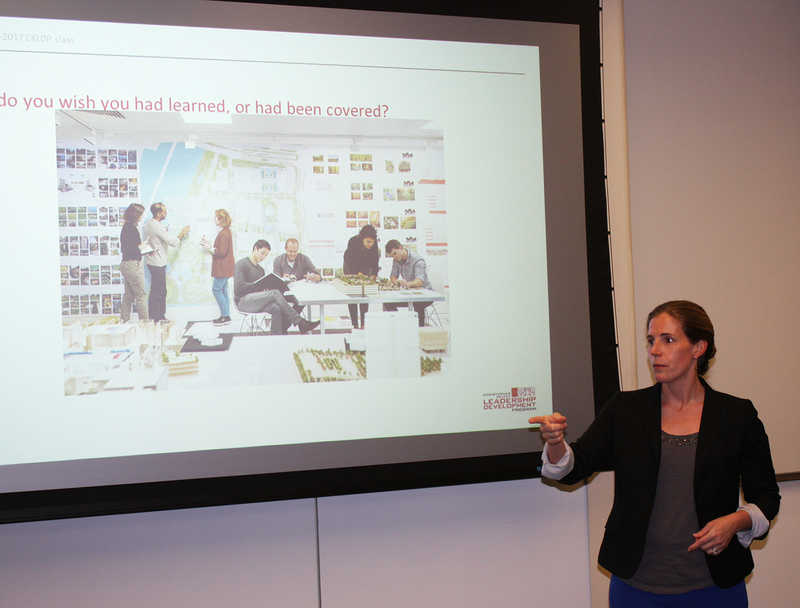 She encouraged scholars to look past our preconceived notions and stereotypes when looking to hire young designers. Steiner has a passion for teaching, a perfect combination of design and psychology. 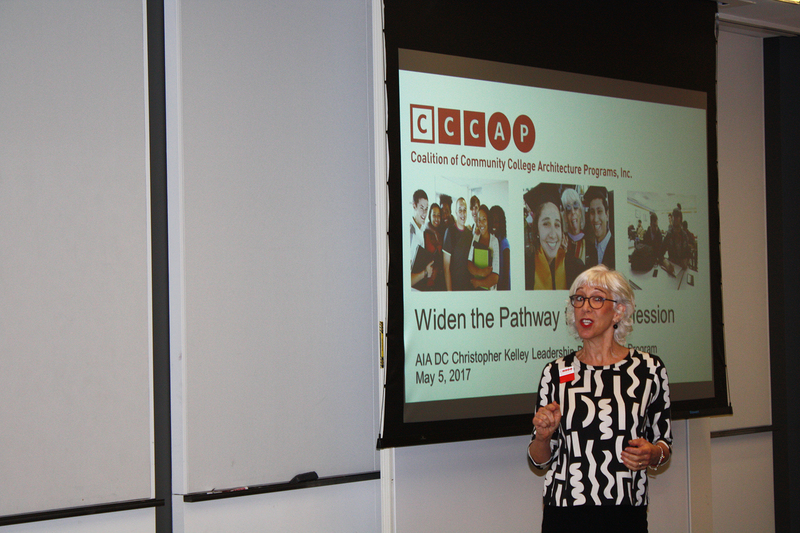 She founded to Coalition of Community College Architecture Programs and advocates for the diverse strengths and passions that community college students bring to the profession. Dr. Whitney Austin Gray brought the unique perspective of a public health expert studying the effects of buildings on people’s wellbeing. 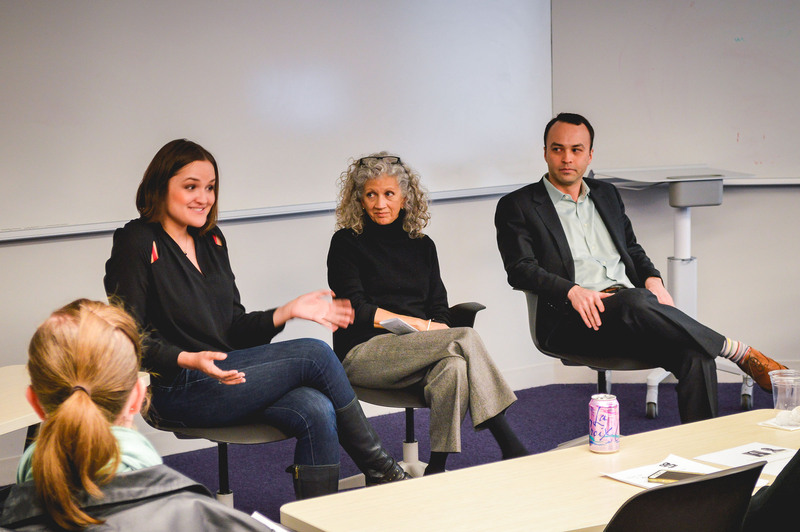 Gray encouraged scholars to get comfortable in spaces where they don’t know the answers, and to push themselves to ask questions of those with varied backgrounds. Gray outlined the importance of prioritizing diversity of thought. She encouraged designers to create buildings that are welcoming to all, stating, “when you design for the minority it benefits everyone.” Gray sees health and wellness as an architecture topic that’s here to stay. She recommended investigating the WELL professional certification as a way to gain more insight on the topic. Jason Winters shared his innovative approach to practice. As an young architect, he was once told that he’d need to choose between the firm, and family. In an attempt to create a better balance, he started Kezlo group. Kezlo Group sees the firm as including not only its employees, but the families of its employees as well. The firm encourages working remotely and prioritizes work life balance. Winters’ ideas about the changing practice are outlined in the article “Balancing Act: How Firms are Adapting to the Modern Employee.” As adjunct faculty at University of Maryland School of Architecture Planning and Preservation, and the Architecture and Interior Design Department at Anne Arundel Community College, Jason teaches his approach to design process. He enjoys teaching at University of Maryland as a creative outlet, and sees teaching as a great balance to project work in the office. In both school and practice, Winters helps foster a strong diversity of design ideas as well as a diversity of design platforms. The Internet of Things, and a multitude of apps are combining to automate technical processes in many fields. Brad Lukanic discussed ways this will impact how we practice. Perhaps in the future, applications will calculate code compliance and provide layouts for things like bathrooms and stairs. 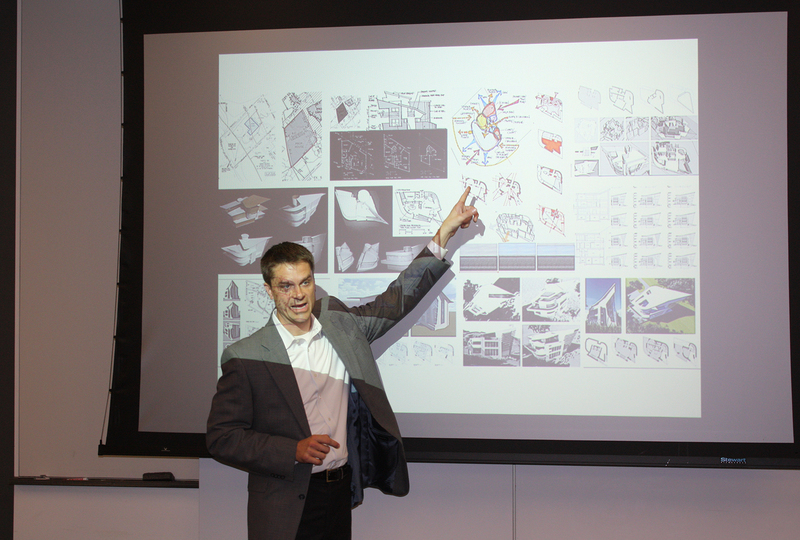 He encouraged scholars to examine new typologies as workplace and housing models shift. Lukanic recommended that scholars find workplaces willing to let them take on large amounts of responsibility, and take the leap and move on if they weren’t getting what they needed from their current offices. 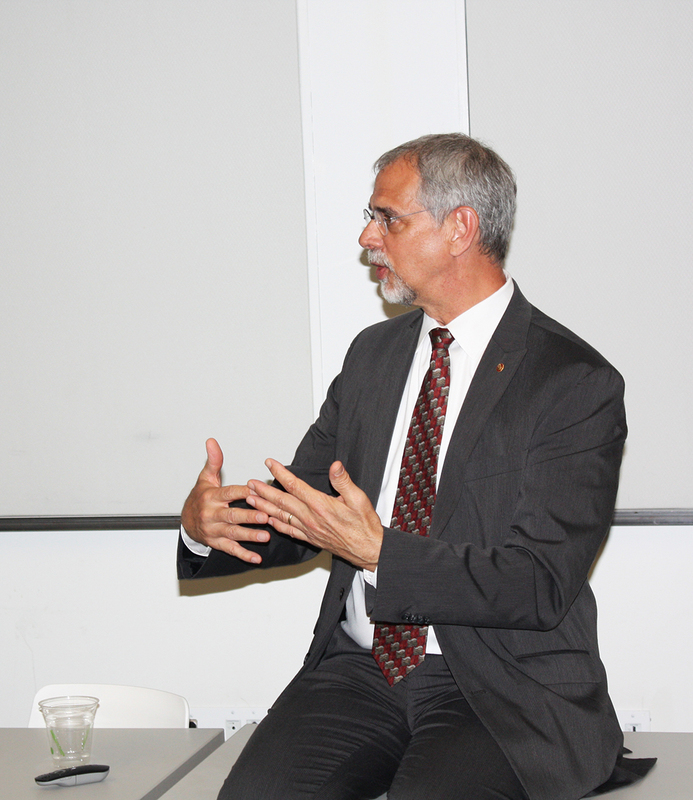 Carl Elefante, the 2018 AIA President, closed the session with an inspiring discussion on the future of the profession. He encouraged scholars to recognize that it’s design impact that matters, not just the design itself. We must show the value of our designs, and we must value our environment. Life cycle assessment tools are making it easier to evaluate the carbon impact of our proposed buildings and renovations. We must show empathy and work to create healthy built environments for all. Thank you to CertainTeed Ceilings and Mosa for sponsoring the session. 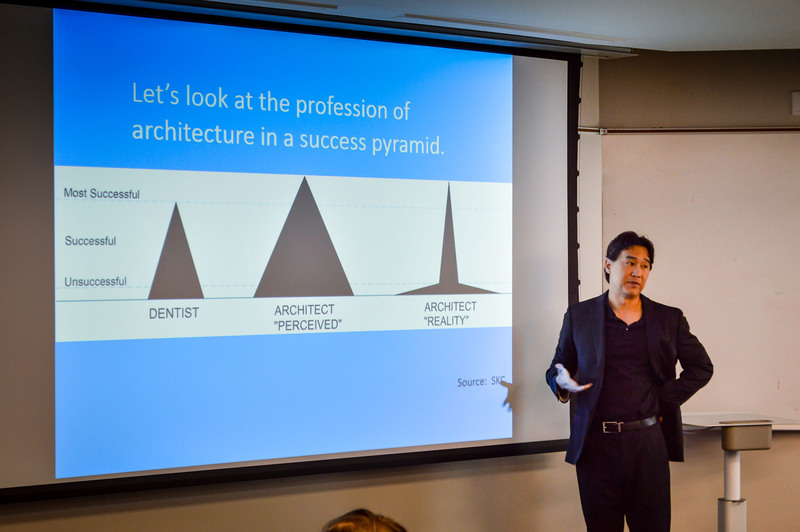 Research and education are rapidly becoming two of the most crucial differentiators in the hyper-competitive practice of architecture. Firms that successfully integrate research into their practice advance their value to the community and provide a greater value proposition to the clients they serve. These are the core issues explored by Lance Eubanks and Marisa Allen, and furthered by their speakers who discussed strategies for incorporating research into their firm profile, education as a means of maintaining professional relevancy, and the positive social impact of incorporating both research and education to further our collective understanding of the health and wellness of the people who inhabit the built environment. Immediately following Michele was Andrea Love, who is the Director of Building Science and Associate Principal at Payette in Boston. 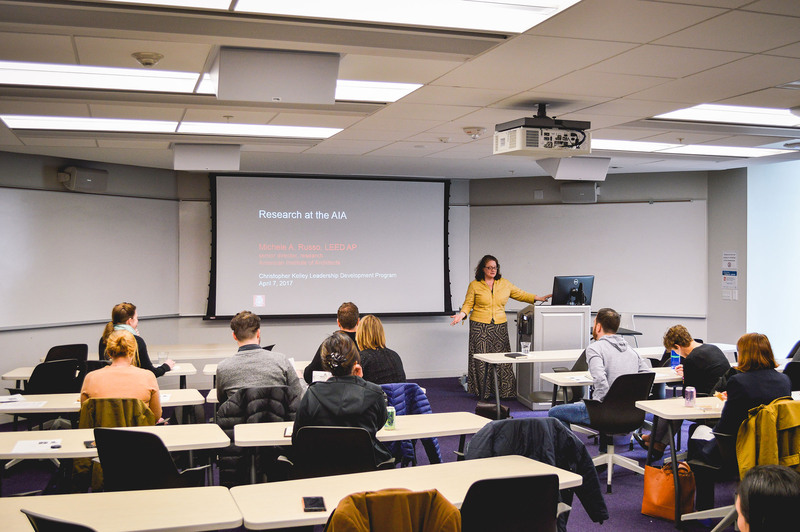 As a prerequisite to her presentation, Marisa and Lance invited the scholars to watch an AIAU webinar entitled Three Firms’ Approach to Integrating Research in Practice, which featured speakers from Sasaki Associates, Eskew+Dumez+Ripple, and Payette. The webinar was valuable with respect to providing a thematic framework for the session’s key topics. Currently, Andrea estimates that about 69 of the 140 people, or roughly 40% of the staff are working on research projects, where employees explore a variety of topics, with the majority focusing on energy and building performance issues. The research process at Payette provides employees with billable time and concrete deadlines to foster research when there is a lull on a project. This is reinforced with meetings at predetermined intervals to encourage employees to make progress on their research projects. Key to their research is to target “sharing of findings internally and externally” by speaking at conferences, writing blog posts, and maintaining a robust research page on their website where they can share their findings. Andreas outlined a few examples of research projects on the Payette website, which includes their research on thermal bridging, which was funded by winning the Upjohn Grant in 2012. Other notable projects focused on natural ventilation in healthcare and their 2016 AIA Technology in Architectural Practice (TAP) Innovation award winning research on glazing and thermal comfort which produced a glazing and winter comfort tool available on their website. After Andrea spoke, Michele was invited back to the front of the room for a brief question and answer session. 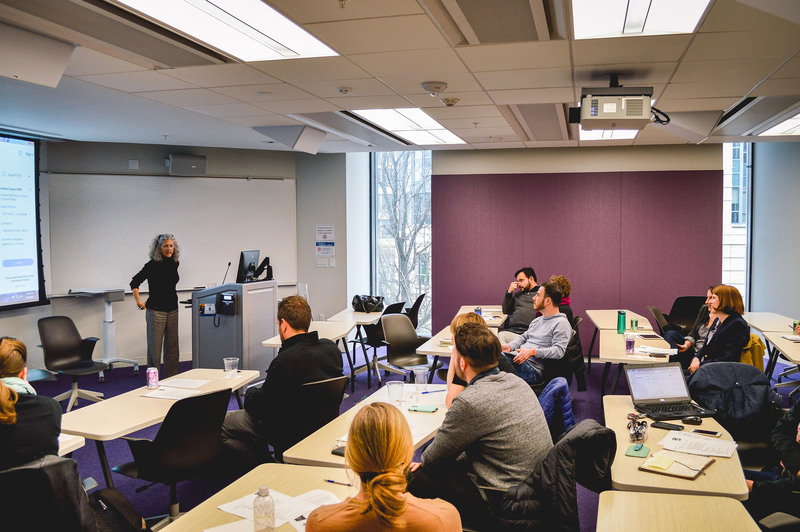 Scholars solicited advice from Andrea regarding effective strategies for convincing firm leaders that there is value in research. Andrea indicated that research has yielded value by way of branding and providing a competitive advantage, creating business development opportunities by speaking at conferences, maintaining client relationships, and increasing the quality of work. Liability was raised as a possible issue regarding sharing information; however, Andrea indicated that they classified their published web-based research under the umbrella of the AIA’s definition of “standard of care” and a legal disclaimer which mitigates their risk. The scholars were then invited to take a self-guided tour of the venue, the Miliken Institute of Public Health at George Washington University. 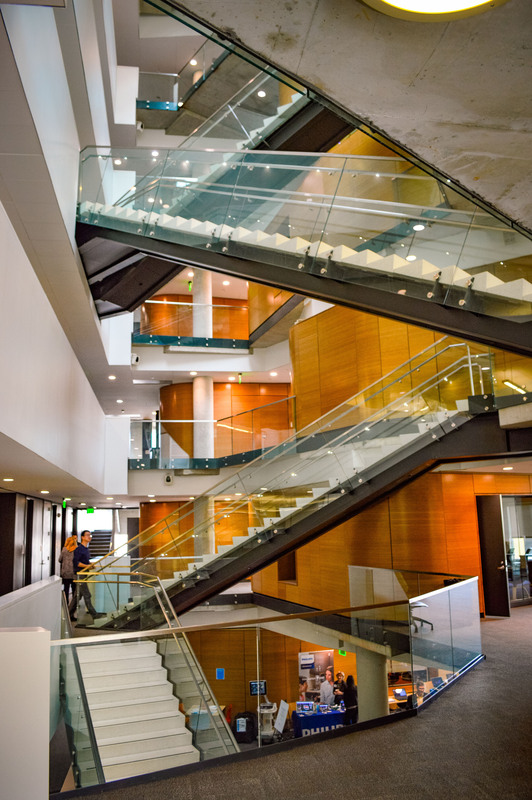 The building’s meandering main atrium afforded the scholars and speakers the ideal time to enjoy the building and engage in additional conversations that related to the material presented thus far. After the tour, the scholars had the opportunity to engage in a presentation and a panel discussion comprised of three professionals- Abigail Brown, Susan Piedmont-Palladino, and Karl Feldman. All three are currently involved in a range of research endeavors within the practice of architecture. 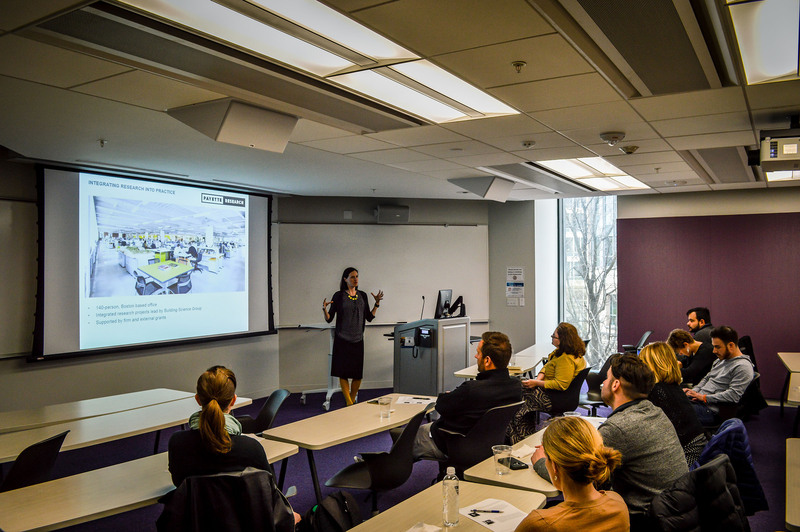 Abi, who currently works at Hickok Cole Architects, presented on her firm’s approach to integrated research incubator, iLab. iLab is a program at Hickok Cole Architects that provides “microgrants” to employees who are passionate about pursing research topics outside their normal project workload. Receiving an iLab microgrant involves a rigorous proposal process, whereby the firms’ leadership awards employees billable time to investigate a compelling research topic. Abi was one of the first participants in the program in 2014, when she was awarded the opportunity to study an interest of hers, modular multi-family housing in D.C. This led her to several speaking engagements and opportunities to present her ideas to other like-minded design professionals. The last speaker of the afternoon was Karl Feldman of Hinge, who is involved in research in the architectural practice, and more specifically how research can help you grow. Karl contends that research plays an important role in helping answer the questions that are holding you back, and that “even bad news is good news.” By understanding your target audience, a firm that engages in frequent research can act on an objective basis, help focus efforts and resources to be in better alignment with your firm’s niche market. Ultimately this strategy is fundamental to understanding your target audience and building engagement with potential clients by repurposing content to a variety of platforms.